I purchased a Kindle Touch to take on a month long trip to Alaska and the west coast this summer. I knew I would be able to read several books over that time and did not want to take up the luggage space with multiple books. It turns out that the Kindle was a great acquisition. I really love its compact size and the easy to read text. And when I finished a book and wanted more, it was easy to download another. MY REVIEW: It is possible to see Wild: From Lost to Found on the Pacific Coast Trail as similar to John Krakauer’s book, Into the Wild, the tale of the life and death of Chris McCandless in the Alaska wilderness (1) (see my review of this book). Chris McCandless and Cheryl Strayed were of a similar twenty something age, Cheryl being some four or five years older than Chris. On the surface, both seemed to view venturing into the wilderness as a way to test themselves and gain insight and understandings about themselves. And both were essentially unprepared and ill equipped for the test they set for themselves. (2) But here the stories diverge. Cheryl on the other hand had struggled with several demons in the years beyond college. She was married early to a man she loved but was unable to be faithful to. The death of her mother at age forty-two devastated her. And she became addicted to heroin. In an effort to redeem herself and turn her life around, she divorced her husband, kicked her heroin habit and somehow latched onto hiking the 1300 mile Pacific Coast Wilderness Trail: California as a way to come to grips with all of her personal issues. Unlike McCandless, Cheryl was not unprepared for her adventure. She had read the trail guide over and over. She had been to the REI store many times for advice and to secure the equipment she thought she would need. She had prepared re-supply boxes for a friend to ship to post offices along the trail as she would need them. She was not completely unprepared for her adventure, but in many ways she was not well prepared either, and she was naïve about the demands, both physical and personal, she would face. 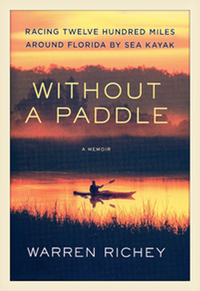 I think I liked this book for many of the same reasons that I liked Warren Richey’s book, Without a Paddle (see my review of this book). 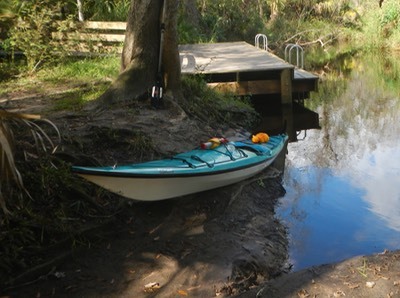 Richey used the challenge of the Florida circumnavigation race as a personal physical challenge, and way to be alone with his thoughts after a difficult divorce. He used the time alone as time to reflect and gain perspective on what had happened. 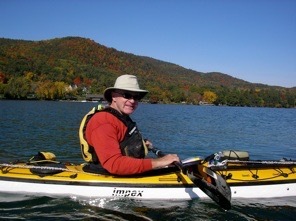 His story swung between the very real physical challenges of the trail and his equally challenging inner struggles. Strayed’s story has the same Yin and Yang as Richey’s. And they both have a way of using humor to lighten the darkness of their struggles. To my surprise, I found I could relate to many of the feelings in Strayed’s book. I can’t say that I ever picked up women in bars or had one-night stands. I’ve never done drugs of any kind, though alcohol has played a role in my life. But I have been divorced and left with a lot of pain and questions that needed sorting out. And I have sought out “wilderness” as a place to be alone with my thoughts. 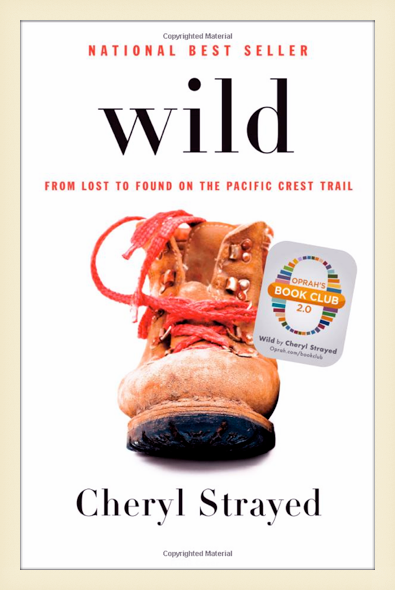 Like the Richey book, Wild: From Lost to Found on the Pacific Coast Trail, will not appeal to everyone. The hike is really the background story, the sub-context. There are many personal and physical challenges confronted in this book. Those readers with some years of living or difficult life experiences under their belts will relate to what is written here. In that sense the book has universal appeal. (1) While in Alaska I passed along the Teklanika River in Denali National Park, within a few miles of the abandoned school bus where Chris McCandless lived and died. It is truly wild country. (2) It should be noted that the McCandless book was written by Krakauer from research he did on Chris’s life, while the Strayed book was written by Cheryl herself, many years after her adventure. If Chris had been able to write about his adventure many years after the fact, his story might sound different. (3) See http://en.wikipedia.org/wiki/Christopher_McCandless , Criticism.